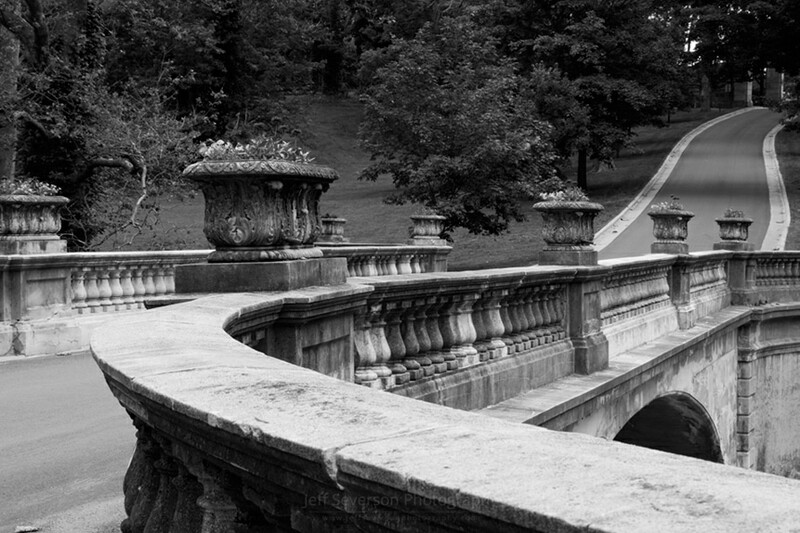 A black & white photograph highlighting the curves and lines of the main entrance of the Vanderbilt Mansion National Historic Site in Hyde Park, NY. This shot was captured from the west end of the White Bridge, a Melan arch bridge first constructed in 1897. I chose this angle to help show off the graceful architectural shapes of the bridge as well as the more subtle curves of the driveway as it makes its way up to the gatehouse on Albany Post Rd.